Pitch 1 – 5.9, 8 bolts, 70 ft, for the most part is a jug haul on vertical desert varnish, 2 chained anchors. 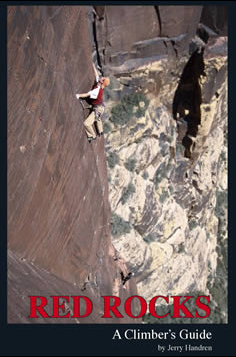 Pitch 2 – 5.8, 8 bolts, 80 ft, Red Rock slab climbing with a thin crux midway, 2 chained anchors. Pitch 3 – 5.7+, 8 bolts, 70 ft, the slab soon turns vertical with more large holds to the finish, 2 chained anchors. *Pitches 1 & 2 or 2 & 3 can be combined with a 60m rope and 17 draws, or combine all 3 pitches with a 70m rope and 26 draws. – 3 rappels with a single 60m rope. – a single rap with 2 70m ropes and watch your ropes get stuck on features. Or walk off climbers left: scramble up and left, being very careful with all of the loose rock on the ledges. Continue southeast until you see the gully with the tree in it and descend. Or scramble right to the standard Physical Graffiti rappel and gully walk off. 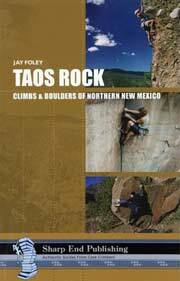 *This route has been one of the most popular routes in RR since it was finished in mid-October.